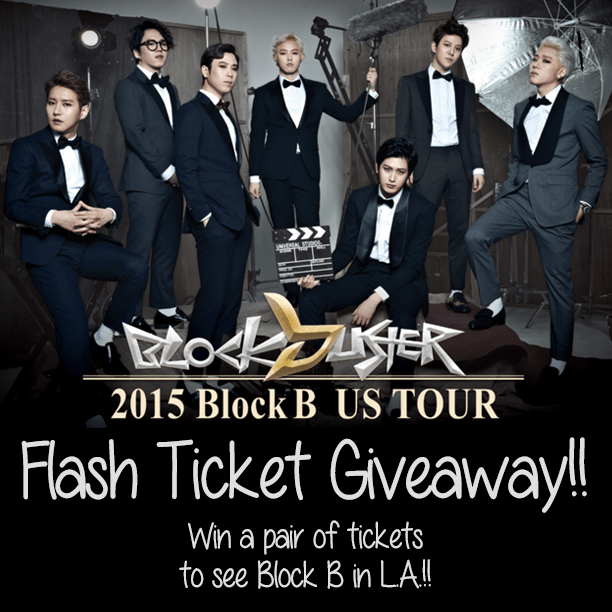 This is so short notice, but we have just received a pair of GA tickets for Block B’s LA show this Sunday! If you want them, come and claim them! Here’s what you need to do! Share the giveaway photo on your wall and tag us in it so we can see your entry! Good luck everyone! We’ll announce the winner via Facebook on Saturday afternoon at 3:00pm!